New York-based artist Ethan Cook is known for his abstract paintings on self-produced canvases. 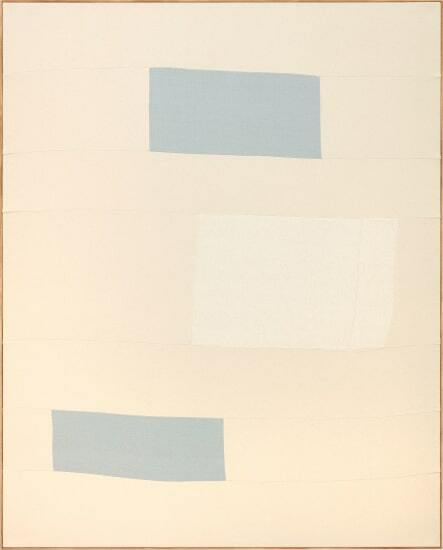 More recently, he has used handwoven strips of cotton and linen to create painterly compositions. Cook's woven canvases are contemporary in their minimalist focus on shape and color while referencing one of the most traditional art forms, weaving. Cook weaves his own canvases on a loom and juxtaposes these with store-bought canvas sheets in abstract arrangements. For the artist, the surface of the canvas itself becomes the focus of his practice. Using simple geometric shapes and a limited color palate, Cook's works nurture structural simplicity.